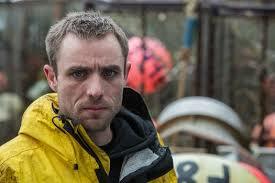 Tonight’s Deadliest Catch focused on Captain Jake Anderson’s maiden voyage at the helm of the Saga. Captain Sig Hansen may have felt Jake wasn’t ready, but young Anderson decided to take a chance he had long dreamed of and replaced an ailing Captain Elliot Neese for Opillio season. Jake’s best quality is his sheer desire to do well. He’s a people pleaser, but that isn’t always a bad thing. Jake cares about his crew and their well-being, unlike Elliot who got mad at a deck-hand for getting his arm broken accidentally. The audience tonight cringed when Jake’s first pot was hauled in, containing 790 juvenile crabs that had to be returned to the sea! He ended up dumping his entire first string at the rail. A hydraulics failure, soon after baby-crab-gate, bonds Jake with the men as they decide to repair the boat’s clutch at sea. His Engineering experience on the Northwestern paid-off earning Anderson the respect of his crew and saving them from a costly trip back to town. With a repaired clutch and 45mph winds Jake and his crew start the grind again. Suddenly a rogue wave comes over the stern and covers crew and cameras alike. The episode ends with an emotional Anderson screaming,”Oh God, Oh God!” With the entire deck under several feet of water and gear shifting everywhere, it’s impossible to think the Saga will come out of this unscathed. 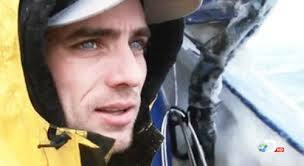 Deadliest Catch is one of my favotite shows. 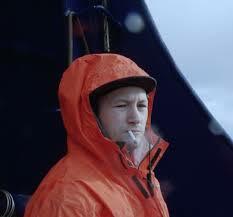 My hats off to any of the guys that can handle fishing the Bering Sea for crabs. I’ve done some tough, nasty, dirty jobs in my younger days, but no way I could handle their job. I hope Disvovery doesn’t try to ” spice it up” too much and drive away viewers. If Disvovery takes a ” hands off approach” and leaves the show as realistic as possible, the show will continue to be a huge hit. But, DC is allready playing on the drama every chance it gets, as per Elliot. Great hit, well liked show, lets see if DC leaves it that way. 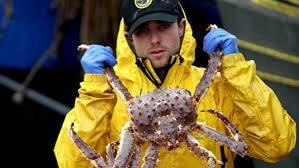 I agree 100% Discovery needs to keeps it’s dirty hands off of Deadliest Catch. The network has enough engineered over-produced trash like Alaskan Bush People to worry about! 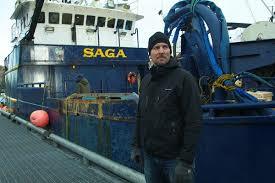 Deadliest Catch remains a huge hit for it’s honest portrayal of life on the Bering Sea.